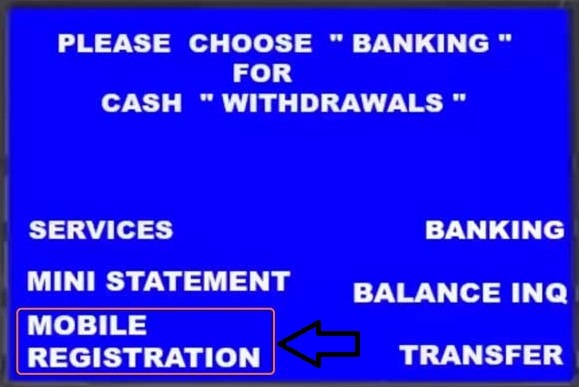 How you can register / change / update mobile number in any Bank by ATM? If you do not have your mobile number registered with your bank account, then you can easily register or update number by visiting any ATM branch. 1. Swipe your card and from the menu choose the 'Registration' option. 2. Enter your ATM PIN. 3. Select mobile number registration option. 4. Enter your mobile number you want to register. Select 'correct' option if you have entered correct number. 5. Re-enter your mobile number and select 'correct' option. Once you do this, this message will appear on the ATM screen: "Thank you for registering your mobile number with us". Within three days, you will receive a call from the contact centre for verify number. 6. A reference number will be sent to your mobile number via SMS. Insert the card and enter PIN number. You would see the message 'Your mobile number 91xxxxxxxxxx is already registered with Bank. Enter the Mobile Number you want to update.